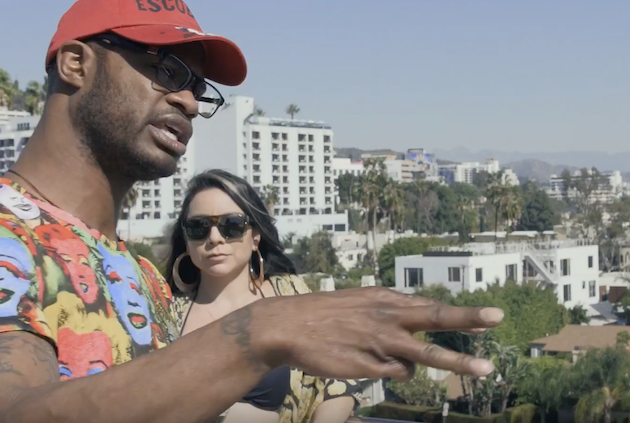 Rapper Black Buffet returns with a new visual for his song, “Por Siempre” taken from his project, Lifestyles of the Rich and Infamous Knowbodies. The visual features picturesque views of Mexico as Black Buffet takes a trip across the border to put in some work. From quick get money schemes to hard times with limited resources, BlackBuffet brings to life the experience of anyone who has grown up in the hoods across America. “I’m putting out 4 or 5 videos this Spring and leading into the Summer. I want to keep the content hot and I want people to really understand where I came from and how I got to this point,” Black Buffet said. “The way the project went I got a few solid joints on both projects and the album is dope. I just want to stay relevant with the visuals,” Black Buffet said. “Im just trying to keep pushing man, Por Siempre that means forever, so thats a testament to my hustle. I’m working on another project with different kinds of stuff and the instrumentation is totally different from before. Me and Nottz, we pretty much have a full album. Topics: Black Buffet - "Por Siempre"